Amelia Shea took John F. Kennedy’s words to heart when he said, “Ask not what your country can do for you, ask what you can do for your country.” When Kennedy was shot in 1963, it was not only a national tragedy but also a personal tragedy for her family. Her father served on Jacqueline Kennedy’s committee to redecorate the White House and the two families were often in touch. “The thing was, the Kennedys didn’t just talk about patriotism. One of JFK’s brothers volunteered as a pilot for a dangerous mission in WW II, from which they didn’t expect anyone to return and he didn’t,”said Shea. In addition to being influenced by the idealism, grace and cultural life brought to this country by the Kennedys, Shea was taught by her parents from an early age to pursue her interests wholeheartedly. Shea described her parents as New York intellectuals who taught her to challenge things intellectually. Growing up on Long Island, she enjoyed a spirited childhood. “I had a typical racy Long Island upbringing. The Great Gatsby was the story of my youth,” said Shea. Later, her parents moved to New York City’s upper East Side. They were the neighborhood’s only Catholic family at the time.” I was raised by Catholics and educated by Quakers,” said Shea, who attended boarding schools from the time she was in the eighth grade. Although she did not see her parents much after she left boarding school, she did spend summers with them at a family home on Lake Winnipesaukee. She went to Chatham College in Pennsylvania, the same college that Rachel Carson, author of “Silent Spring” attended . At Chatham she was influenced by a curriculum and surroundings that focused on spirituality, nature, feminism and art. The combination of idealism, spirit and determination she cultivated when she was young has stayed with Shea throughout her life. A strong environmental and political activist, she has worked both in her personal and professional endeavors to try to create a more peaceful and environmentally friendly world. Shea co-organized and promoted a medical relief benefit for Kosovo and helped start the weekly Peterborough Peace Vigil in 1999 which meets in front of the Town House every Saturday from noon to 1 p.m. She has served as a board member of the New England Coalition on Nuclear Pollution and on the board of Earthlands in Petersham, Mass. She is also a member of the Green Party. Today she works as the advertising representative for a quarterly environmental journal -Green Living Journal – which publishes practical advice and information about how to live a more sustainable life style. Shea was first introduced to Tarot cards when her sister did her senior thesis in college on magic in the late 1960s. At the time, Shea was living in Cambridge, Mass., with her brother, a who taught at Harvard. After practicing reading tarot cards with her sister, Shea began giving readings to her friends. In between readings, she continued to study the tarot on her own, while working and raising three children. She also became interested in astrology, feminist spirituality, and the Rudolph Steiner philosophy of anthroposophy. At the urging of friends, who said her tarot card readings were accurate and were referring clients to her, Shea began reading tarot cards professionally in 1990. 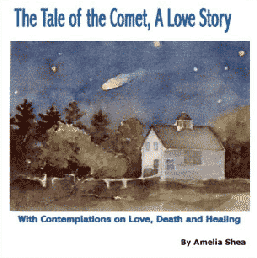 In 1996, she began reading astrological charts. 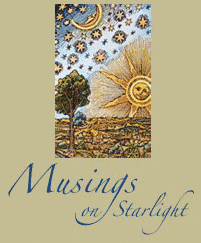 Her work reading astrological charts stemmed from her interest in Jungian psychology. She said reading someone’s astrological chart can give a highly accurate and individual look at the person’s life. “Astrology is the oldest form of psychology,” said Shea. 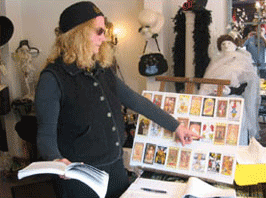 In addition to her tarot and astrology readings, Shea teaches classes on how to read tarot cards. Her classes run for six weeks and are an hour and a half each. She offers both beginner- and intermediate-level classes for those interested in learning more about the art of tarot card reading. Shea said she tries to teach her students that in addition to giving a glimpse into the possibility of a future, the images and cards can be used in a proactive way to help them create the lives they want. Although she does not teach astrology, she knows many students who are also passionate about it. 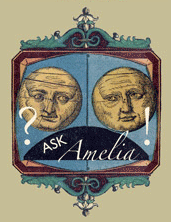 She said there are astrological associations all over the United States, but the closest one was in Belmont, Mass.